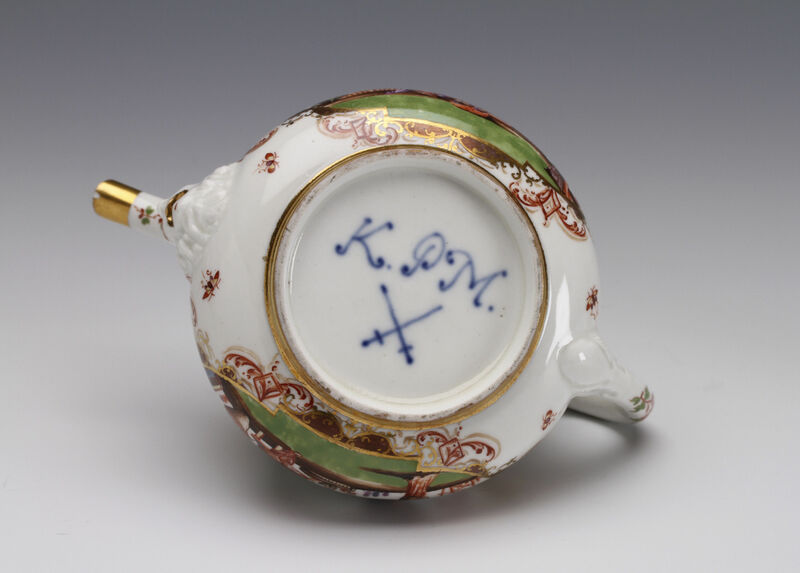 K.P M. and crossed swords in underglaze blue. The K.P.M. 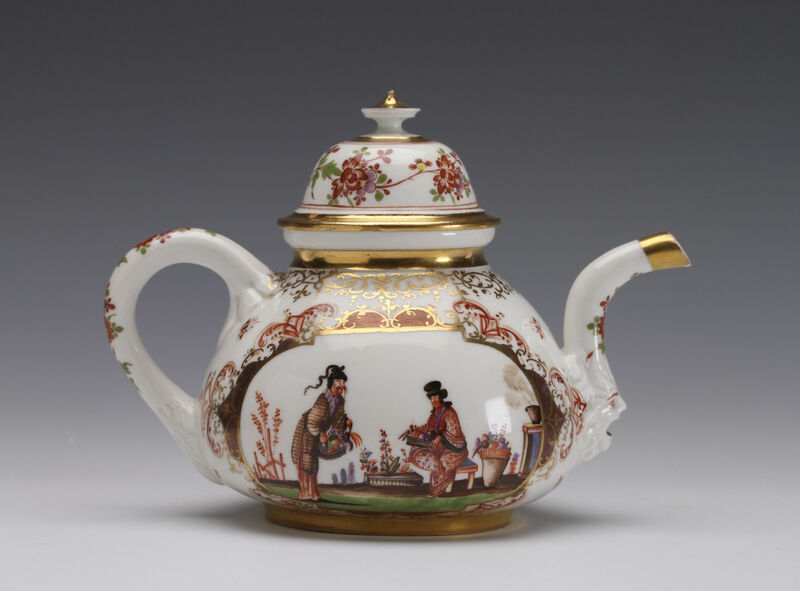 mark, for Königliche Porzellanmanufaktur Meissen, over a large crossed swords was introduced from December 1722 and used until 1724, it only occurs on teapots and sugar boxes. 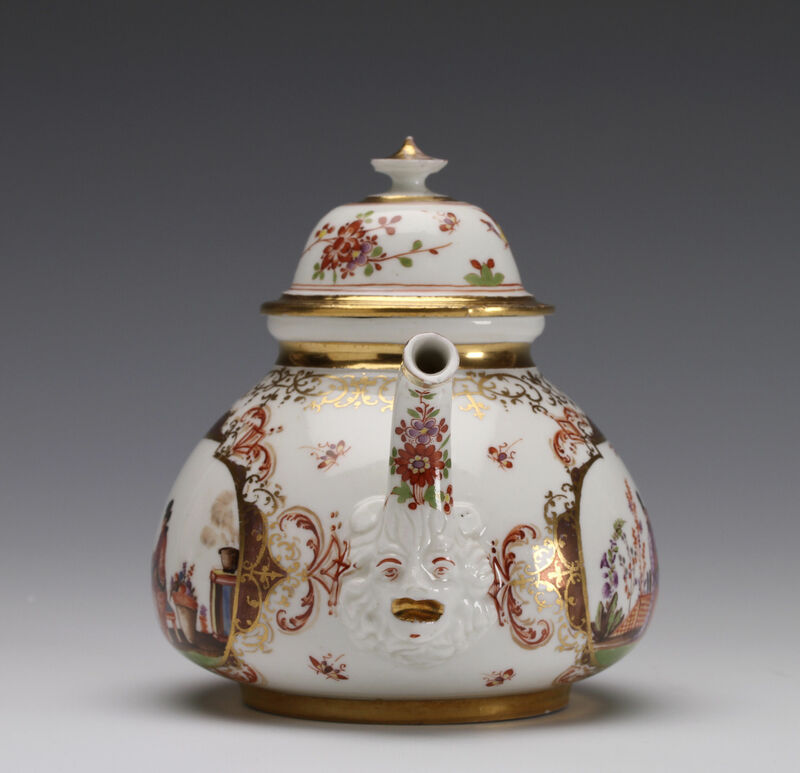 At this early and most inventive period of chinoiserie decoration there were only about six painters employed under the direction Johann Gregorius Höroldt, attribution to a particular hand is uncertain but this type is often attributed to the hand of Philipp Schindler. The panels of chinoiseries are painted within laub und bandelwerk cartouches with panels of Böttger lustre. 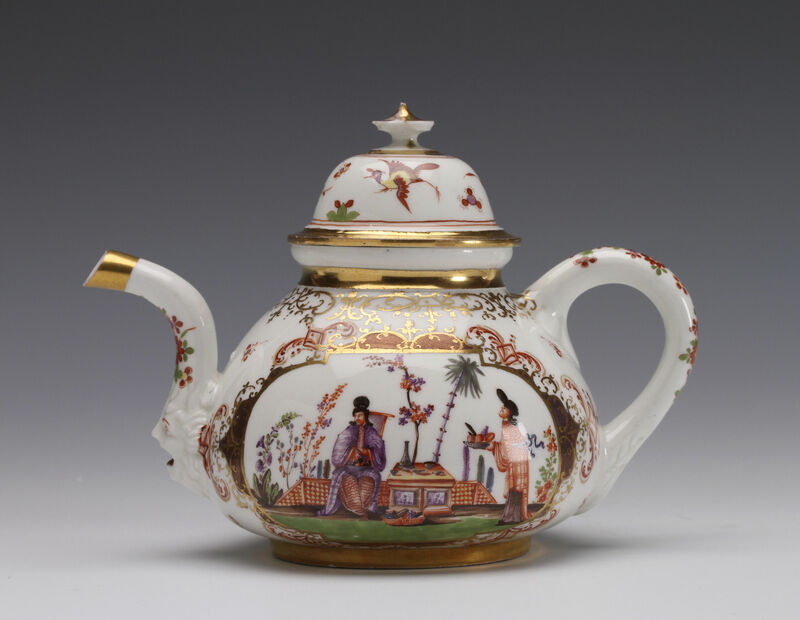 Condition – Shallow chip to edge of the finial, minute chip to tip of spout. No Restoration.